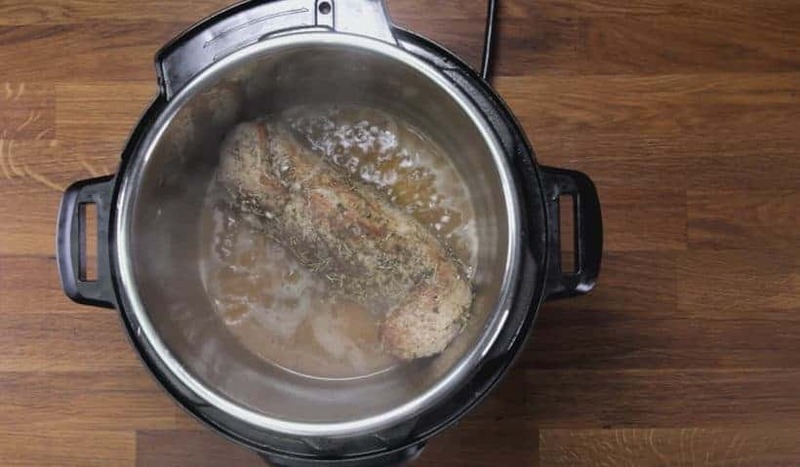 Discover the Secrets to cooking Mega Juicy Tender Instant Pot Pork Tenderloin! Satisfying pork medallion bites bursting with unbelievably juicy flavors & aromatic herbs, plus a bonus hearty gravy. Super easy healthy dinner for busy nights! Pork Tenderloin (aka Pork Tender, Pork Fillet) is the most tender cut of pork! It’s also lean & boneless. Don’t be mistaken! Though Pork Tenderloin sounds similar to Pork Loin, they are not the same cut! They are actually different cuts of pork, with different shapes & sizes. So, they can’t be easily substituted in recipes. The challenge is that since pork tenderloin is lean & boneless, they’re easy to overcook. 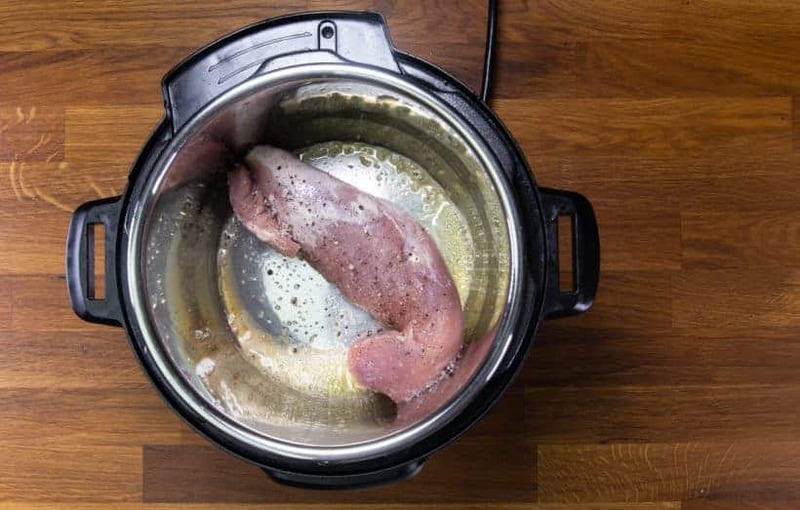 But this also means it’s a quick-cooking meat – extremely easy to make a quick meal. The key is to find the right cooking time & method to not overcook it. Check out some of the pork tenderloins we bought for the experiments. We needed to find the best cooking time & method for making pork tenderloin in Instant Pot Pressure Cooker. In 2011, the USDA lowered Pork’s safe cooking temperature to 145°F (63°C) from the longtime standard of 160°F (71°C). 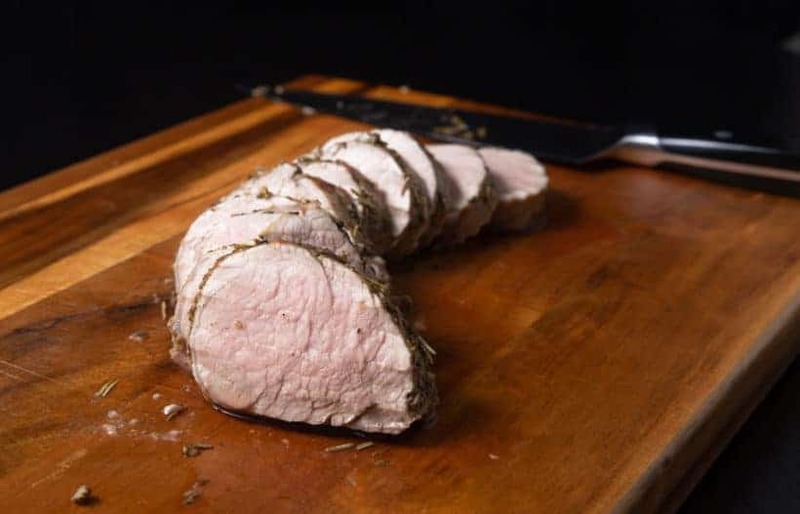 Our Goal: Pork tenderloin at 160°F (71°C) will be very dry and tough, so our goal is to get the Pork tenderloin as close to 145°F (63°C) or “medium cooked” as possible with the Instant Pot. Our experimental pork tenderloins are ~1.5 inches thick (as shown below). Of course, we didn’t stop here! 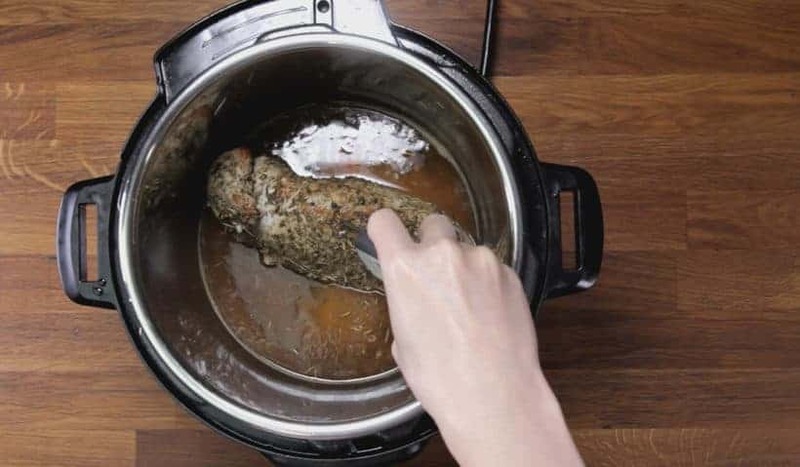 Secrets to cooking Mega Juicy Tender Instant Pot Pork Tenderloin! Satisfying pork medallion bites bursting with unbelievably juicy flavors & aromatic herbs, plus a bonus hearty gravy. Super easy healthy dinner for busy nights! 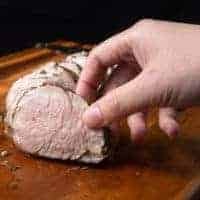 Brown Pork Tenderloin: Heat up Instant Pot using Sauté More function. Wait until it says HOT (~8 mins). Pat dry, then generously season one side of pork tenderloin with salt + black pepper. Drizzle the inner pot with 1 tbsp unsalted butter or olive oil. Then, brown the seasoned side of pork tenderloin. Season the other side with more salt + black pepper. *Pro Tip: Brown 2 sides of pork tenderloin for 2 mins per side. Pressure Cook Pork Tenderloin: Set aside the pork. Add 1 cup (250ml) unsalted chicken stock, then deglaze the bottom of the pot. Turn off the heat briefly. In a small bowl, mix 1 tsp (0.5g) dried oregano, 1 tsp (2g) dried sage, 1 tsp (1g) dried rosemary, and 3 (14.6g) finely minced garlic cloves together. 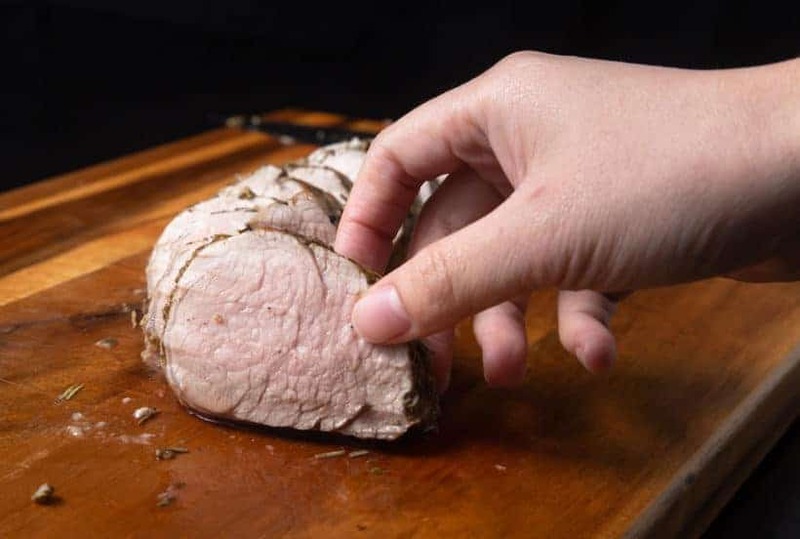 Apply Dry Rub to all sides of the browned pork tenderloin, then place pork in Instant Pot. Pressure Cook at High Pressure for 0 minute, then 15 minutes Natural Release. *Pro Tip: If your pork tenderloin is thicker than 1.5", increase the natural release time (~5 - 6 minutes per 0.5" of thickness). 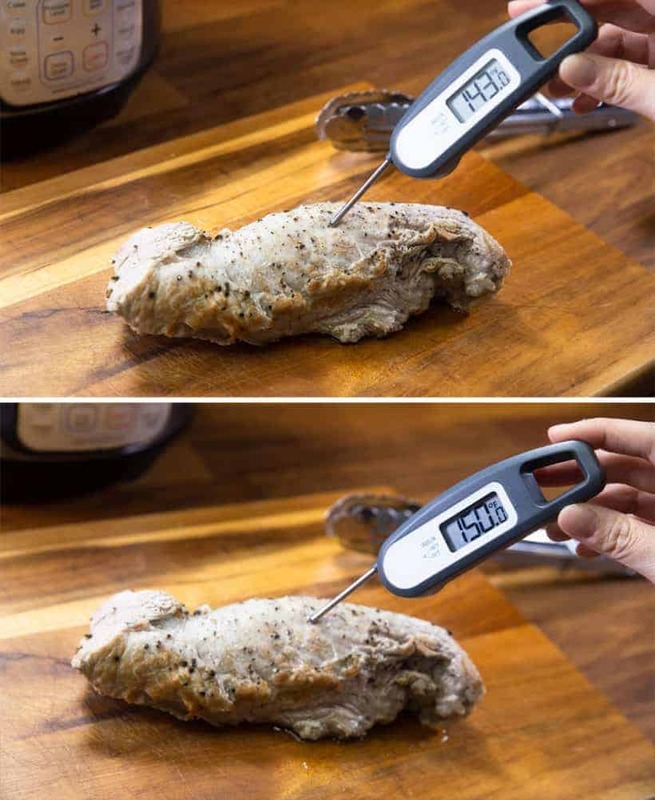 Check Pork Internal Temperature: Check pork tenderloin internal temperature at its’ thickest part - it needs to be above 142°F (61°C). *Pro Tip: If the temperature is off by more than 6°F, quickly close the lid, then let the residual heat in Instant Pot to cook the pork for a few more minutes. 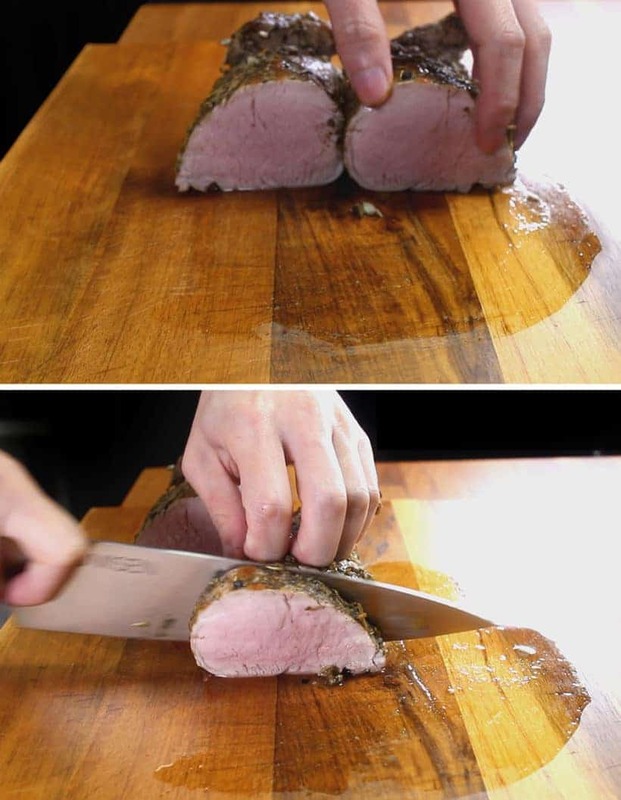 Remove and place pork on a chopping board. After resting for 3 minutes, slice pork tenderloin in bite-size medallions. *Pro Tip: Pork tenderloin should be slightly pink on the inside. Bonus - Make Pork Gravy: Mix 2.5 tbsp (22.5g) cornstarch with 3 tbsp (45ml) cold water in a small mixing bowl. Add cornstarch mixture one third at a time to thicken the cooking liquid until desired thickness. Taste & adjust seasoning with more salt or soy sauce. *Pro Tip: You really want the Instant Pot to be as hot as it can be for the maillard reaction. Pat dry, then generously season one side of the pork tenderloin with salt + black pepper. Drizzle the inner pot with 1 tbsp unsalted butter or olive oil. Then, brown the seasoned side of pork tenderloin in Instant Pot. Season the other side of pork tenderloin with more salt + black pepper. *Pro Tip: Brown the two sides of pork tenderloin in Instant Pot for 2 minutes per side. Set aside the pork tenderloin. Add 1 cup (250ml) unsalted chicken stock, then deglaze the bottom of the pot. Turn off the heat briefly. In a small bowl, mix 1 tsp (0.5g) dried oregano, 1 tsp (2g) dried sage, 1 tsp (1g) dried rosemary, and 3 (14.6g) finely minced garlic cloves together. Apply the Dry Rub to all sides of the browned pork tenderloin. 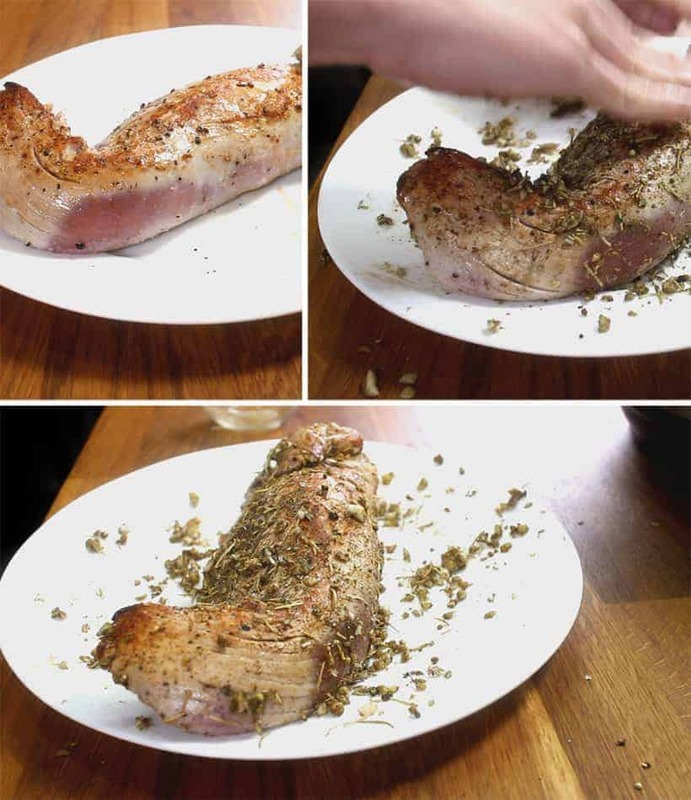 Place the pork tenderloin in Instant Pot. *Note: 0 minute (zero minute) is not a typo! We’re using the heat from “Pressurize” Stage & “Depressurize” Stage to cook the pork tenderloin. *Pro Tip: If your pork tenderloin is thicker than 1.5″, increase the natural release time. I would say ~5 – 6 minutes per 0.5″ of thickness. After 15 minutes, turn the Venting Knob to Venting position. 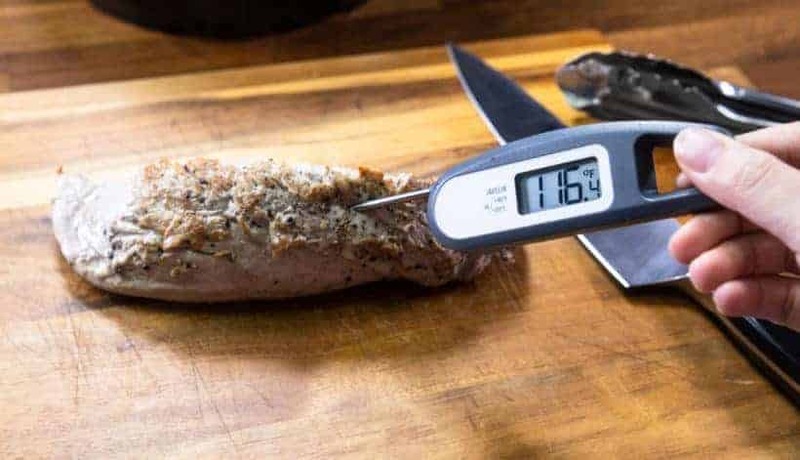 Check pork tenderloin internal temperature at its’ thickest part with an accurate thermometer. 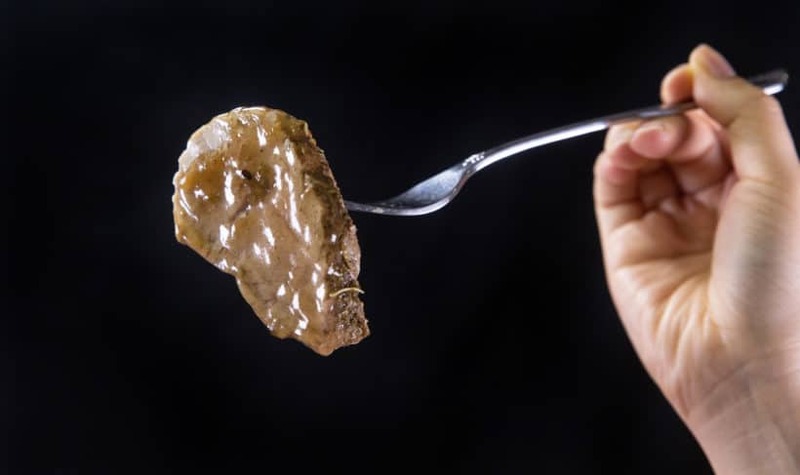 *Pro Tip: The USDA recommends 145°F (63°C), but in my opinion, it is okay if it is above 142°F (61°C) because some restaurants take the pork tenderloin out at roughly 140°F (60°C). 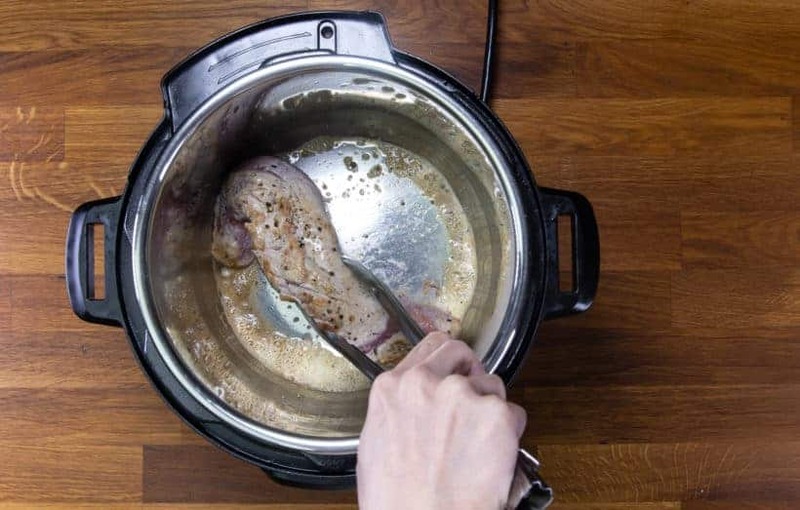 If the temperature is off by more than 6°F, quickly close the lid, then let the residual heat in Instant Pot to cook the pork tenderloin for a few more minutes. For reference, one of our thicker pork tenderloin record at 128°F (53°C), then it went up to 145°F (63°C) in roughly 5 minutes. Our first pork tenderloin (below photo) recorded at 143°F (62°C), then jumped to 150°F (66°C) after resting for 3 minutes. Our second pork tenderloin (below photo) recorded at 146°F (63°C), then jumped to 154°F (68°C) after resting for 3 minutes. 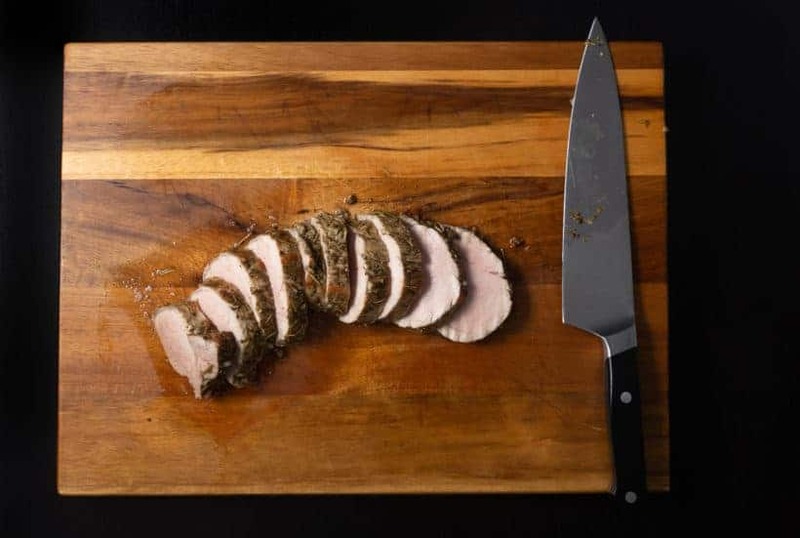 Remove and place pork tenderloin on a chopping board. 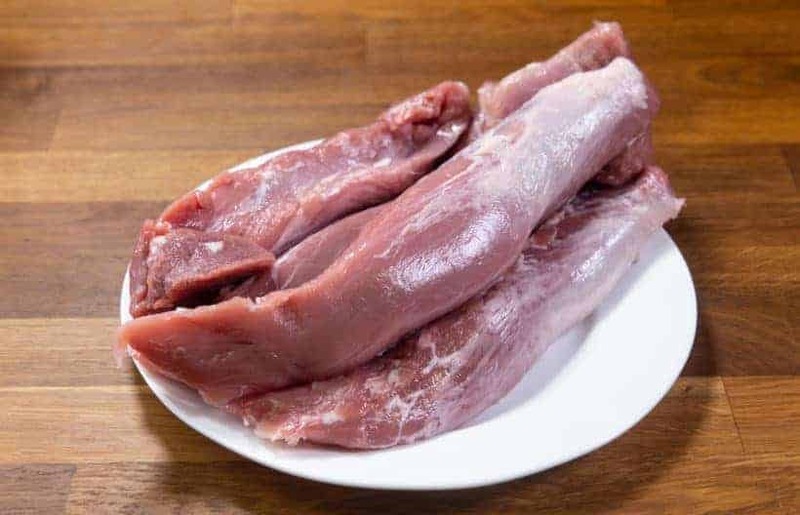 After resting for 3 minutes, slice Instant Pot Pork Tenderloin with a sharp knife into bite-size medallions (as shown in below photo). *Pro Tip: The pork tenderloin should be slightly pink on the inside (as shown in above photo). 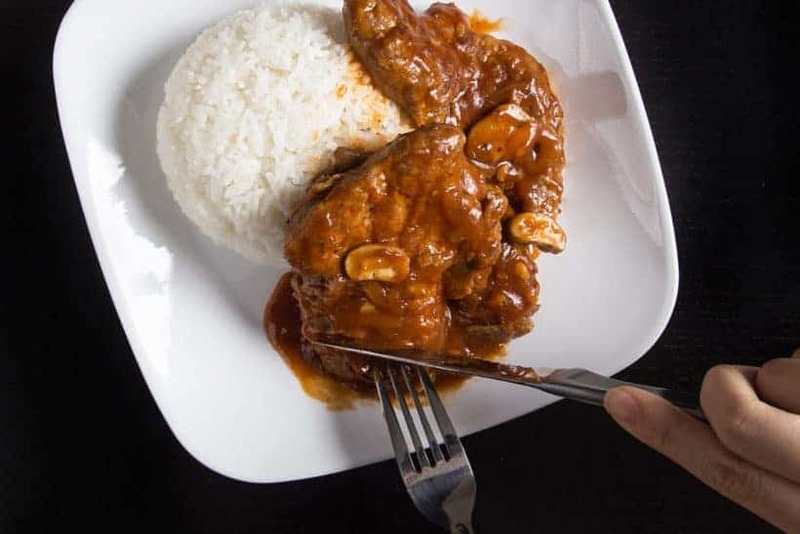 You can use cornstarch to thicken the pork yumminess cooking liquid and serve it as gravy. It has some amazing flavors from the pork tenderloin and herbs. Add the cornstarch mixture one third at a time to thicken the pork & herb mixture until desired thickness. Taste and adjust seasoning with more salt or soy sauce. Ta da! You did it!! Easy peasy. Your family & guests will enjoy this Mega Juicy, Tender, & Flavorful Instant Pot Pork Tenderloin!! Made this pork tenderloin and it was just as you said, very tender and with good flavor. The gravy was delicious. Timing on cooking was very good. Started with a .75 lb tenderloin about 1.25″ thick at an altitude of 7100 ft. I compensated the small size with the increased cooking time required. Using your altitude compensation guide, I opted for a NR time of 16 min. All other instructions followed. It turned out GREAT!! 14 min may have been perfect but it wasn’t over cooked and it was really juicy! The gravy made a huge difference and perfectly completed the dish. Made in the mini 3 qt pot which was perfect. Thank you for the recipe!! Happy to hear how it turned out at a higher altitude! This will be so useful to our readers. I was gifted a nice piece of tenderloin that needed to be cooked, and was not sure what to do with it, as I had previously only slowcooked this cut of meat with mango. This recipe was fantastic, and the meat came out succulent and pink – done to perfection. I am not the biggest meat fan, but this was amazing! Thank you guys so much, I have already used several of your recipes, but this is the first time I am commenting. So far, all your recipes have been successes. thank you so much for such a kind first comment and being so supportive!! I just made this for the first time and, like all of your recipes, it was delicious. I had 2 tenderloins, totalling 1.8 lbs, so I doubled the spices but left everything else the same. Thank you! Just made this again probably for the 5th or 6th time. Perfection following the recipe precisely. Get out that measuring tape and do a quick check in thickness and adjust as recommended. It’s delightful and a huge family fave. Thank you for the great recipe! What can I use instead of chicken stock (I just figured out I’ve run out)? Thanks! Water will also work fine. Omg so delicious! Came out exactly as they said. Mine was 2” so I just adjusted it per their suggestion and it came out perfectly. Family devoured it. 5 stars!!! I bought a turkey breast tenderloin today, do you think I could use the same technique? It will work fine, but the cooking time will not be the same. I used half the herbs and it turned out great! Delicious, simple and fast! I wouldn’t change a thing, Thank you! 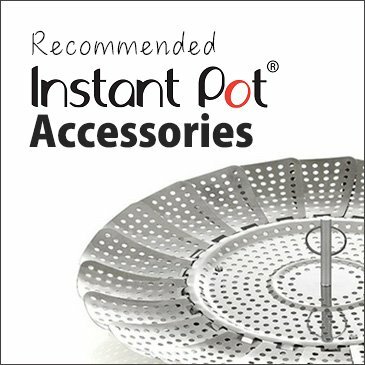 I have an Instant pot Ultra. I can set it to 0 minutes but once it reaches pressure it automatically goes to 5 minutes. So I turned it off and then the warm function goes off too. I didn’t open until 15 minutes, but it was only 130 degrees internally. So I did it again and let it sit for 5 minutes after reaching pressure. It was good but a little less tender than I would like. Any suggestions? Try using the pressure cook setting and you should be able to set to 0 minutes. The keep warm function should kick in after unless it was turned off. I recommend reducing the npr time. This is one of my family’s favorite recipes! It’s easy, fast, and delicious. What could be better than that? I made this today. It was perfect!! Thank you for sharing your expertise! 2-27-19 Cooked 2 preseasoned (in the plastic package) 18 oz tenderloins. Since they were slightly thicker than 1.5″, I did NPR for 18 minutes. At that time, one of them was up to 142 degrees so I pulled it to rest while leaving the other in the liner and closed the lid. It took the other one about 4 minutes to come up to 142. I retested each of them after a few minutes and neither one of them rose in temperature in the middle but I sliced them up and they were perfect! I did not have near the success with the gravy, even after doubling the cornstarch mix. It was still liquidy. Not sure if this is the case, but make sure to poke into another spot for a more accurate reading. Is it possible to cook 3 pieces of pork tenderloin at once? Would I need to increase the liquid content, change cooking time, etc? Thanks for your help! The cooking time will stay the same. You will probably want to reduce the natural release time as the get up to pressure time will be longer with 3 pieces. 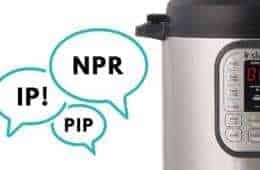 I have the Instant Pot Mini. This was nice & easy to make. I have to lower the natural release time because it got to a temp 160. It was still very tender but not medium rare in the center. When I try it again I will try NR of 12 minutes. Thank you, I never thought it was that easy! Would you be able to help please? I have a regular pressure cooker with no adjustments other than set the time, close the lid. I wonder how to ‘convert’ the timing of your Instant Pot recipes to that of a pressure cooker. Thank you in advance for any hints or advice. 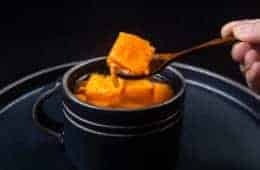 If your stovetop pressure cooker operates at 15PSI, you will want to reduce the cooking time by 15% when the pressure cooking time is 35 minutes or longer. Very juicy and great flavor! Thanks for this awesome recipe, so easy to do…. Happy to hear your husband enjoyed it as well!!! So moist and delicious , talk about easy!!! Followed exactly as written even the gravy . This is a must make recipe. This was an absolutely really awesome dish!!. The family enjoyed it and I followed the instructions just as written and was not disappointed at all. The loin was slightly over the 1.5 inches so I did add an extra 5min on the natural release. For the sear portion of the recipe I ended up using sea salt and freshly cracked peppercorn versus the standard table salt and the fine dusty old black pepper. Could be my imagination and may not make a difference at all. Not sure? However, I can say that there was no need to add salt or soy when making the gravy. It was right where it needed to be and wasn’t over salty. Thank you!! so much for sharing this wonderful homey recipe. Works wonderfully cooking just with the build up pressure heat. My pkg of tenderloin had two pieces so I had to repeat the process twice. Maybe increasing the pressure to 2min. instead of zero would do the trick? Decreasing the natural release time a minute or two doesn’t cook the two pieces as Jacky previously answered to this 2 piece inquiry in a review. Delicious! Thank you. It really depends on the thickness of the pork tenderloin. If the pork tenderloins are thicker, you will want to increase the natural release time by a few minutes. Outstanding taste – easy to follow – thanks for a great meal! I know it wouldn’t be as good, but If i wanted this to be super quick and skip the saute how much would I increase the cooking time? Thank you for your question. I will say adding 1 – 2 minutes to the natural release time. Thank you so much for the love and support throughout the years! I’ve used this recipe twice. The second time I had to adjust NR due to the thickness of my pork loin. It worked like a charm. It is slightly pink according to new guidelines for pork. It worked like a charm. 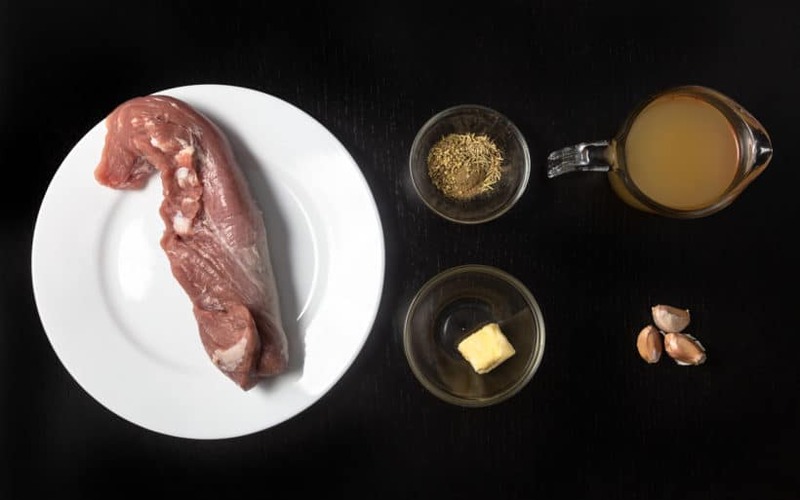 This will be my go-to recipe for tenderloin. This dish is delicious!! The gravy makes the dish perfect, so don’t pass on making it. I was out of sage so I had to use marjoram, but I think I’ll stick with it because it was so good. Thank you!! If I wanted to add an additional ~1 lb pork tenderloin (total of 2 lbs) in my 8qt pressure cooker, I see your answer above is to shorten the NP time a minute or so, but also my pressure cooker doesn’t give me the option of zero, so I usually use “1 minute”. Do I need to make any other adjustments, when using the 1 minute cook time? I recommend shortening the NP time by 2 minutes and see how it goes. I’ve tried a lot of recipes for pork tenderloin and this is the best! Moist! 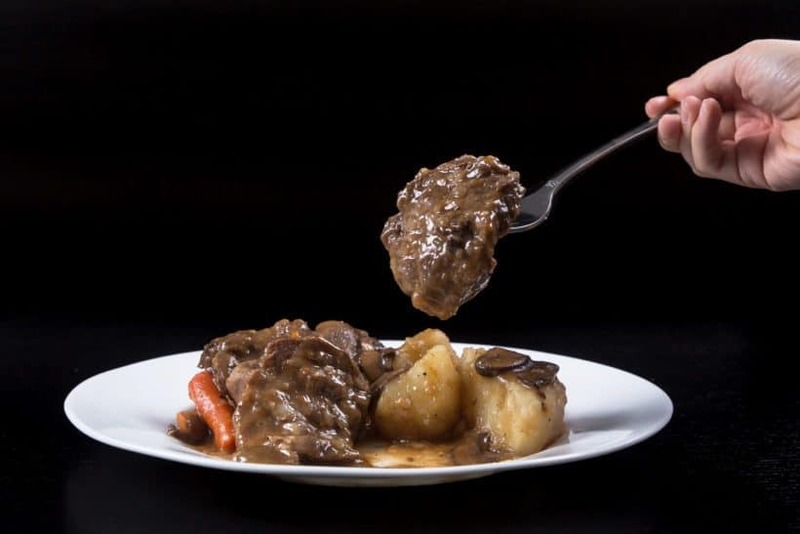 the print the recipe for this pot roast is bringing up roasted potatoes. This recipe was outstanding! I’m new to IP cooking and I found this recipe easy and quick to make with instructions that described every step. The pork tenderloin was moist, tender, and flavorful and the gray was amazing. Will definitely make again. What an excellent post! The pork tenderloin turned out perfect. Thanks for such awesome detail with the “how to” recipe using the Instant Pot. We just bought our Ultra Instant Pot the other day. Still learning how to use it. Again, thx. This tenderloin was absolutely divine! I doubled it and it still turned out flavorful and tender. I know this is a fairly dumb question, but when the 0 minutes time expires, you hit the off button and manually time the natural release? You do not use the timer on the keep warm setting( i.e L15). Does this question make sense? For the IP, turning on or off the heat doesn’t matter as the keep warm mode will not kick in well after pressure is released. I have a package of 2 tenderloins totaling 4.93 pounds I bought from Costco. Having a hard time finding and/or adjusting a recipe to cook these things. Everyone is talking about 1 lb tenderloins… Is 2.5 lbs unheard of For 1? Please help! 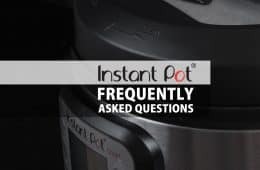 I’d love to make your instant pot recipe tonight. Thank you for your question. You will want to increase the natural release time. I made this last night in my CrockpotExpress. It was THE BEST Pork Roast I’ve ever eaten. It was cooked to perfection, very easy to make, it was tender and Extremely tasty. The gravy was also super delicious – which went nicely with the mashed potatoes I made in the same pressure cooker while the meat rested. The Crockpot Express does not go to Zero minutrs, so I did cook for 1 minute on high pressure and then natural pressure release for 15 minutes, internal temp was 147! I will be making this again and again! Happy to hear the result from the Crockpot Express!! Thanks for this recipe! It turned out great. The pork was super tender, and it was easy to saute them and also make the gravy in the single pot. I have a couple of notes on the time it took that might be helpful. I had two large tenderloins, 2.8 lbs total, and at the center a good 2.5″ thick at minimum. If I followed the instructions I would have gone 15″ NPR, subtracted 2″ for having two pieces instead of one, and added 10 – 12″ for the extra 1″ of thickness over the standard 1.5″. So, about 23 – 25″. I checked them at 14″ and they were already at 145 and 150. I pulled them out and, after a couple of minutes, they were already at 150 and 155, so I sliced them immediately. They were great, but ideally I’d have pulled them at 140 and rested them to 145. Unless the timing formula is off, the only other reason I can think of for them cooking faster would be if I sauteed them too long. It seemed to take longer than 2″ per side to get them brown, and I seared them on 4 sides, not two. So, perhaps that cooked them too much. Anyway, if you DO sauteed them more, keep an eye on the release time and consider checking them earlier. I followed your instructions and the tenderloin came out absolutely perfect. My husband raved and my father-in-law (who has advanced Alzheimer’s) cleared every scrap from his plate. I also read your lovely and inspiring story. Beautiful and enlightened and your love shows in that lovely wedding photo. Thank you for sharing your trials and triumphs along with your recipes from the heart. A perfect start to a New Year. Your kind comment is the perfect start to our New Year indeed!! I tried the pork tenderloin tonight and was surprised when the Instant Pot depressurized after seven minutes. I wasn’t certain what to do and so let it sit for another 8 minutes before I opened it, at which point the temperature was above 150 degrees. The flavor was wonderful, but it was a bit dry. 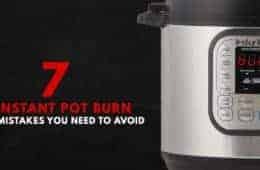 Should I have opened the Instant Pot as soon as it depressurized? Thank you for your question. 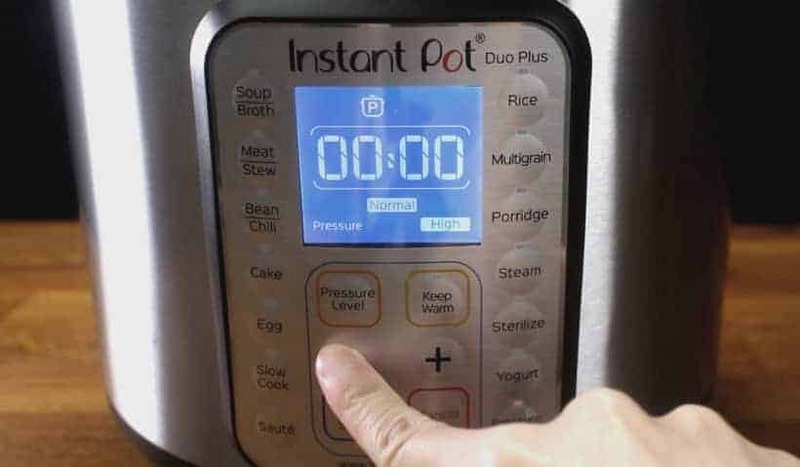 The Instant Pot should be opened after the full 15 minutes. I am thinking the pork tenderloin you used were not as thick so it will need a shorter natural release time. This came out so incredibly perfect. It was amazing and so easy. I will be making it again for sure. We absolutely loved it. I didn’t thicken the sauce and just used “sauté” as the pork rested to reduce the pan juices to spoon over the pieces. 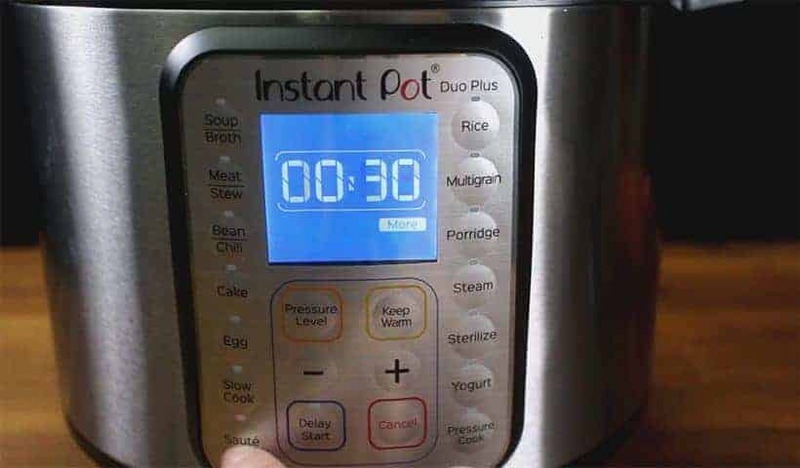 If you are using the Instant pot, you can click on the pressure cook/manual button and use the – button to change the time to 0 minute. I have a recipe that calls for the 1 cup broth, but also 3/4 cup red wine. Will the extra liquid affect the cook time? Yes, the get up to pressure time will be longer so you will want to shorten the natural release time. Thanks for the great information on how to avoid overcooking tenderloin. I made this last night, and it was delicious. Even though the pork temperature was 150 degrees, the meat was pink, tender, and juicy. 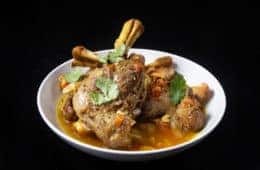 I had originally planned to use a recipe from another site (which had a similar spice mix), but when I saw all the comments saying how dry the end product was, I kept looking and stumbled across this site. Thanks! I’m looking forward to using some different tenderloin recipes, but using your cooking method so it stays moist. I tried this recipe tonight and it was a hit with my family! I didn’t have rosemary and sage on hand, but I used the seasonings that I normally use for pork. My pork tenderloin was a bit bigger so I cooked it under high pressure for 10 minutes and then did a full manual release. It was perfect! Thanks for a great recipe! Pretty good! We did 1 minute of cook time because we couldn’t tell if it was really going to come to pressure at 0, and it came out at 147 degrees and then cooked more as it rested. We will try 0 next time! Nice tip about using 0 minutes, temperature wise the 2 loins i cooked came out as expected. 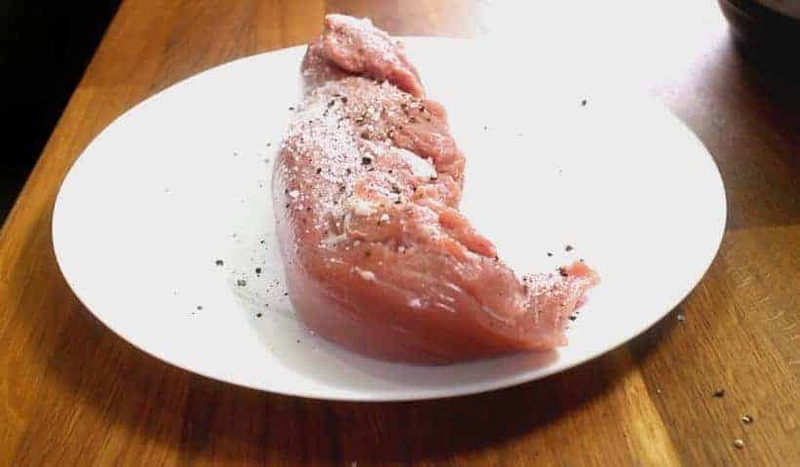 Like most every pork loin i have had, i found it dry. I didn’t make the sauce, but should have to help moisten this dry cut of meat. This was great! I had 2 pork loins for a total of 2.5lbs. I took the advice from a previous comment and did 18 minutes for natural release. Perfect timing. Thank you! I have a 2-2 1/2″ 2.78lb pork loin. So would I add a couple of minutes of natural release time because of the thickness, but then deduct it for the mass? Looking forward to trying this. It may takes a few tries to get this perfect, but I think 18 minutes natural release will be a good starting point. Can i put chopped potatoes in the pot with this? Thanks! For this recipe, it will not work. Adding more ingredients will increase the get up to pressure time and can overcook the pork tenderloin. I just used your cooking method tonight and it was spot on. My pork loin was a half an inch thicker, so I let it natural release for 20 min. and the temp was around 150. The gravy was great too. Can’t wait to try your other recipes. Thanks Josh! 🙂 Glad you enjoyed the pork tenderloin in Instant Pot! Have fun cooking & enjoy all the delicious food! The pork came out perfect! Just as promised. But I found the herbs to be kind raw tasting and not really infused with the meat. Could the pork be browned with the rub already on? The herbs can burn easily while browning. Another way is to use fresh herb as the rub. Hi! I’m looking forward to trying this. How would it work with a frozen pork tenderloin? Frozen pork tenderloin will need a longer release time as the center will be colder. 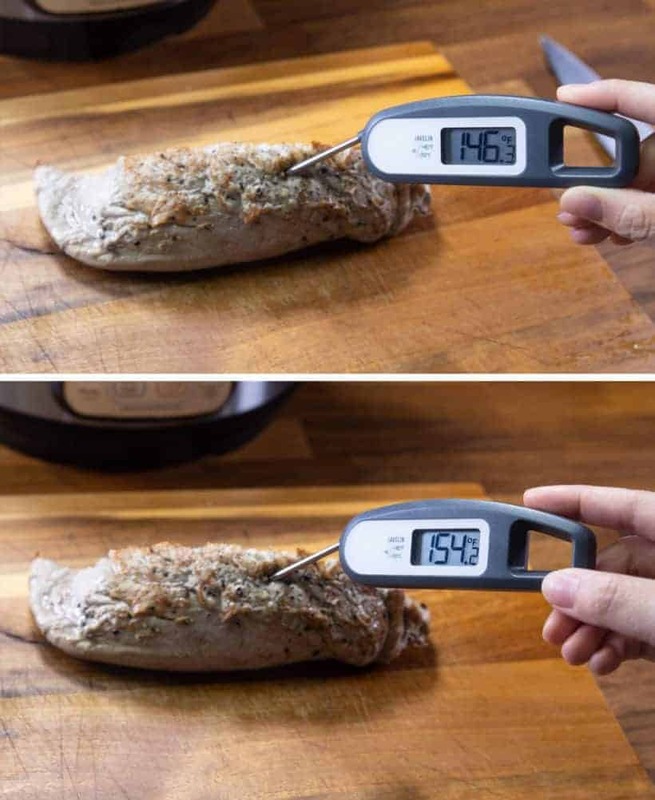 Please use a meat thermometer to make sure the tenderloin is cooked properly. 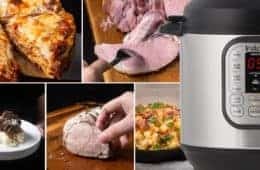 How should I adjust the pressure release time if I want to cook 2 pork tenderloins at the same time? I would say roughly 1 – 2 minutes less as the get up to pressure time will be longer. Amy and Jacky once again you take all the guess work out of cooking. I can always count on one of your recipes being perfect. 0 minutes and 15 Natural release and it was perfect just as you said it would be. Thank you for all your hard work and for your very detailed and easy to follow recipes. You always brighten our days with your kind and thoughtful comments. Thank you so much and please take care! Perfectly cooked tenderloin! I want to make it again and again. This recipe was so easy and turned out amazing!!! I tried another pork tenderloin recipe in the Instant Pot in the past and it didn’t turn out well. The zero time really cooked it perfectly! Thanks so much for this recipe and all the other wonderful ones you have shared. I haven’t found a recipe of yours that I didn’t like. Happy to hear you are enjoying the recipes! Made this for dinner last Sunday. Turned out so well. Thanks for doing the research so I could be confident making the recipe. Thank you once again for your support and kind words!!!! Turned out great! This is a good, quick “make again”. Hi, I have less sodium chicken broth on hand — do I just reduce/eliminate the salt on the tenderloin itself? Or do I need the unsalted stock? It will probably be fine. I would recommend tasting the gravy before adding more salt to it at the end. This was so easy and amazing!! Thank you so much for this recipe, I tried it and it’s perfect. 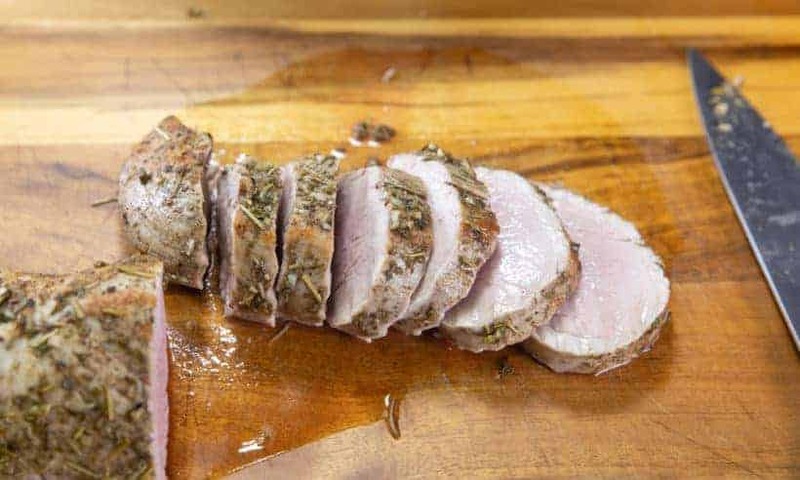 Have seen IP pork tenderloin recipes where they advocate 10 mins high pressure then NPR which is way too long for pork tenderloin so was delighted to find your recipe. Made this last night but with only steak seasoning and turned out well. Will play around with the NR times, as after 7 minutes it depressurised and the pork wasn’t pink as I like. Left the cooking liquid as is and had it as a broth which was very tasty! Not sure if this is what happened. If more than one pork tenderloin is used, the release time should be reduced. Can’t wait to try this recipe. Looks wonderful. Question about the gravy. 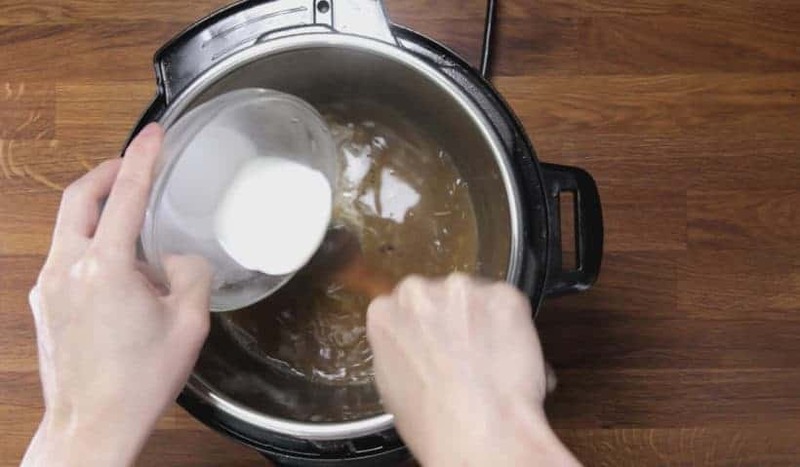 When I add the cornstarch mixture to the liquid in in what mode should the instant pot be? I quess sauté, as you want to cook the gravy with the cornstarch to stabilize. Pls. Let me know. You got it! Saute mode it is. What a favorable recipe thank you for sharing. Very tender result, the temperature tips make me feel like a pro. Hello Amy & Jacky, I love all your recipes and admire the work you put into perfecting them. Either way would work because the “Keep Warm Function” will not kick in until after the IP has natural released. However, we like to let the Instant pot stay in the “Keep Warm” mode, so the display will show us exactly how long it has been in HR:MINS. Will any adaptations need to be made if cooking at high altitudes(5000 ft )? For this recipe, the natural release time will be longer for 5000ft altitudes. Please use a thermometer to make sure it is cooked properly. This looks like a really incredible recipe. You did it again with your careful scientific methods!! I have a question that’s not related to this recipe but is related to the instant pot. 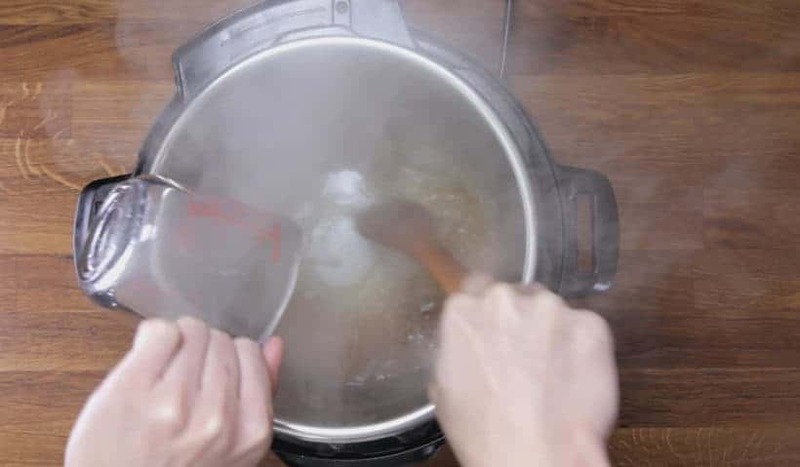 I often cook grits using the pot in pot method in my 8 qt. I love the way they come out. Now here’s the question… my grandchildren are coming soon and would love to cook grits for them in the instant pot but then it would be a meal for 10!! Obviously, I can’t cook the grits pot in pot and have enough for all those hungry mouths. Can you tell me how to cook them in the pot itself and give me an idea of how much I can cook in an 8 qt (they are good eaters and eat a lot!) Thanks! We always do it pot in pot as grits tend to stick to the bottom of the pot if cooked directly. We will have to figure out a way to cook it directly! I have an 8qt pot. Should I increase the chicken stock to 1.5 cups? 1 cup of chicken stock will be enough. If I cooked two 1 pound pieces is the cooking time the same? The pressure cooking time will be the same. The natural release time will need to be a minute or so shorter as 2 pieces will increase the get up to pressure time.